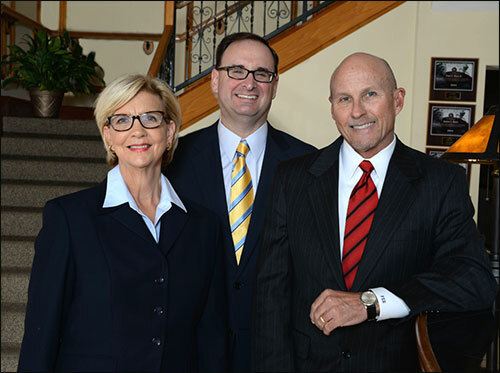 Attorneys Paul Rice, Phil Bonamo and Elizabeth King recently joined the Collaborative Family Law Group of Central Florida. Collaborative Law is a process which allows parties to resolve their disputes, including divorce, paternity and modifications without going to court. Each party has their own attorney, and the attorneys mutually agree upon a neutral mental health expert and a neutral financial expert. The mental health expert acts as the coach in the process and assists the parties with parenting issues and mental health issues, if any. The financial expert marshals and evaluates the financial documents and assists the parties with a fair division of marital assets and liabilities and with support, if applicable. This collaborative team of professionals’ sole purpose is solve problems in an atmosphere of mutual respect and privacy. If the parties are unable to resolve their case through the collaborative process, then neither of the attorneys nor the other neutral experts are allowed to represent the parties in their contested case. This assures the parties that the goal of everyone involved is settlement not litigation or trial. The Rice & Rose attorneys underwent specialized training earlier this year to provide this service to their family law clients. On October 21, 2015, the attorneys completed the required orientation program. If you are interested in the collaborative process or have questions about how it works, contact the Rice & Rose Law Firm at 386-257-1222.